Kevin Garnett wore #21 and played 21 seasons in the NBA. It only seems fitting that we bid The Big Ticket adieu with 21 questions about Garnett's life and career. Questions and topics include who was Kevin Garnett, where does Kevin Garnett rank among players, by the numbers, Is there an argument Garnett is the most versatile player in NBA history, what were his best instances of trash talk, our favorite KG quotes (both the good and the bad), what was the ultimate KG game, what was ... See More Garnett's best playoff series, a brief look at the world in 1995 (Garnett's debut year), Garnett's biggest influence on the game, ushering in the prep-to-pro generation, how do you best express KG's unprecedented longevity, tracing basketball lineage from 1935 to Kevin Garnett in only five players. 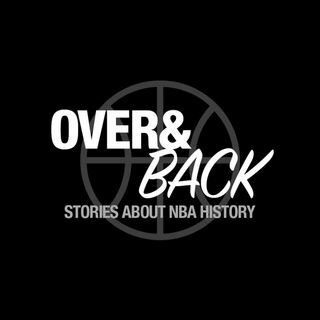 We also delve into Garnett's role in the 1999 lockout, the breakdown in relationship between Stephon Marbury and Garnett, whether the Timberwolves could have won an NBA Title while Garnett was there, how the Boston Celtics Big 3 was formed, Garnett's reputation prior to win an NBA Championship with Boston, whether or not KG had the best pre-game warmup in history as well as thoughts, comments and quotes from fellow teammates. Last but not least, our favorite instances of Garnett being a loon.